Along with today’s announcement of the Spider-Man PS4 release date, Insomniac also gave us a look at the box art and collector’s editions of the game. The box art is simple yet striking. Spider-Man holds one of his classic comic poses against a red backdrop, while wearing the brand new Advanced Suit that Insomniac developed for their iteration of the character. Insomniac Community Manager James Stevenson says that you “will see nods to the work of J. Scott Campbell, Mark Bagley, John Romita Sr., John Romita Jr., Joe Quesada and (of course) Steve Ditko, as well as many other iconic Spider-Man artists” in the box art. Stevenson also announced both a Digital Deluxe Edition and Collector’s Edition of the game. 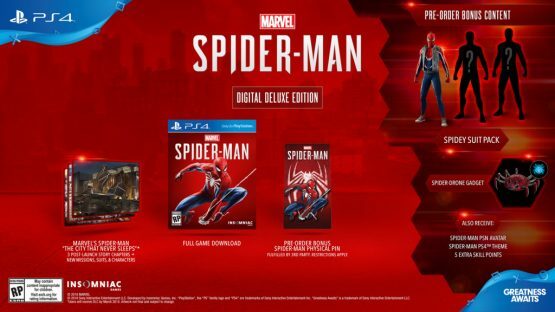 The Spider-Man PS4 Digital Deluxe Edition will retail for $79.99 and includes a digital copy of the game, Marvel’s Spider-Man: The City That Never Sleeps expansion pass (featuring three chapters of new post-release story content, villains and characters, and Spidey suits), and a physical pin that mirrors that same pose featured on the cover art. 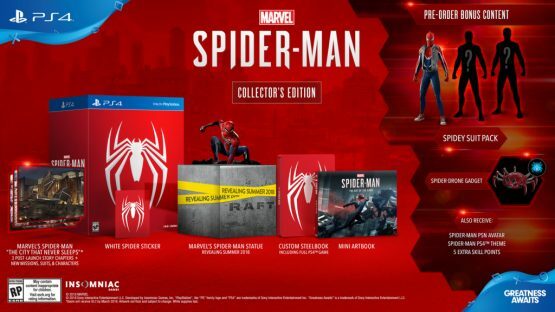 Finally, the Spider-Man PS4 Collector’s Edition runs $149.99 and will feature all content from the Digital Deluxe Edition. You will also receive a steelbook case, art book by Titan Books, and a Marvel’s Spider-Man statue built by Gentle Giant. The statue features Spider-Man perched on something, but the base of the statue is actually being kept secret for now. Stevenson says that it is too awesome and spoilery to show right now, but the image below indicates we’ll be getting a full reveal of the statue in the summer. Along with the special editions is the bonus content that you’ll get for pre-ordering, even if you just get the standard version of the game. These bonuses include a Spidey-Suit Pack featuring Spider-Punk, as well as a couple suits they will reveal this summer, the Spider-Drone gadget, a PSN avatar, an original PS4 theme designed by renowned comic book artist Adi Granov, and some extra skill points to unlock faster web-swinging sooner. Which version of Spider-Man PS4 will you be buying? 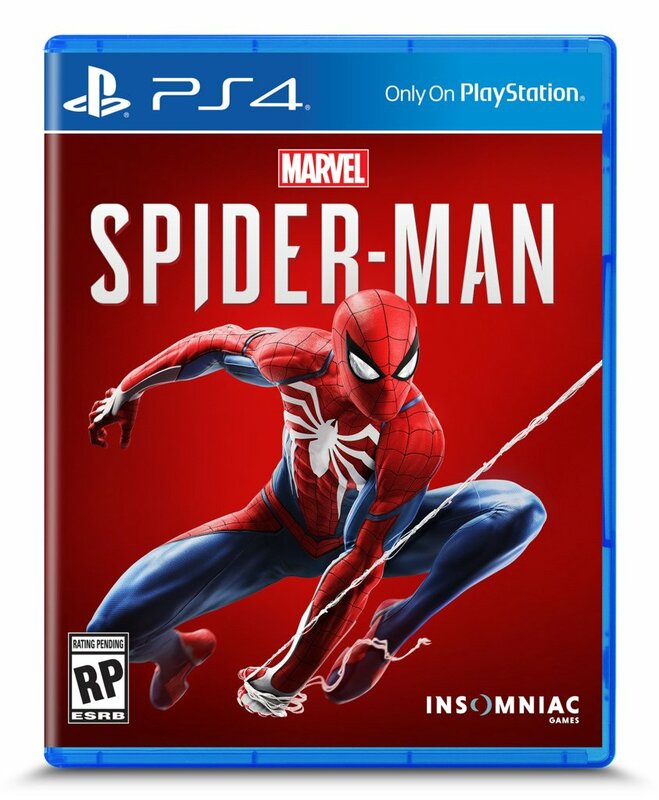 What do you think of the Spider-Man PS4 box art? And what could Insomniac be hiding as the base of that statue? Insomniac’s Spider-Man PS4 will be swinging exclusively onto PS4 in September, but don’t forget, it will never be coming to the Xbox One.